"Listened to my needs and quickly converted it into a professional patent application." 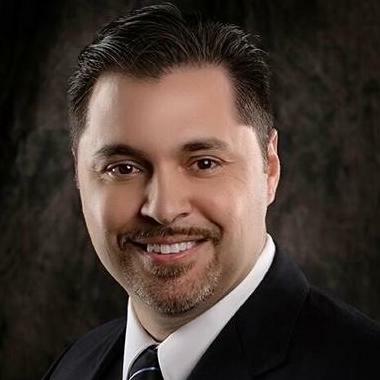 Alexis Saenz has worked substantially with patent applications in the general software, virtual reality/augmented reality, artificial intelligence, robotics, computer, data management, mechanical, optical, and electrical. A former physics engineer, Alexis Saenz has worked for one of the largest defense firms in the nation. His technical experience includes working with electro-optics, (including semi-conductor materials, lasers, photodiodes, light emitting diodes, etc.) weapons guidance systems, networking switches, and micro-electro-mechanical systems (MEMS). "Alexis was amazing. Looking forward to working with him again." "Alexis did a great job guiding me on options and timing of our trademark and patent initiatives. He proved to be a great asset to our company." "Had an excellent experience working on a provisional patent application with Alex. I look forward to working with him again!" "Alexis was great to work with. Professional and knowledgeable in the process of provisional and non-provisional patents." Prepared patent applications and responded to the USPTO for technologies including: Aerospace, Electrical systems, Networks, Electronic Displays, Computer Mechanical Design, Projectors, Software, and general Mechanical apparatuses. Prepared patent applications and responded to the USPTO for technologies including: Circuit Design, Networks, PCB Fabrication, Robotics, Data Storage. Prepared patent applications and responded to the USPTO for technologies including: Aerospace, Electrical systems, Computer Storage, Software, and general Mechanical apparatuses. Intellectual Property prosecution and litigation. Preparing and prosecuting patent applications in mechanical, Web-based, and software patent applications. Advising clients on patent portfolio development. Assisting on trade secret, patent infringement, copyright infringement, and trademark infringement litigation cases. Preparing infringement analyses and design around recommendations.